It turns out wedging oneself sideways at the bar, fixing the server with a wide-eyed desperate stare and wagging a bill around isn't how you get served in a hurry. Leave it to science to set us straight on exactly the right way to get the bartender's attention. A consummate professional, the barkeep processes the cast of characters lining up for a hot toddy and prioritizes based on when patrons land at the bar and how ready they are to order, according to researchers at Germany's Bielefeld University. The most effective way to get your drink on is to stand square at the bar -- no wedging -- and stare at the bartender (in a non-creepy way) as they go about their business. The German team's findings, published in the journal Frontiers in Psychology, analysed 105 attempts to order drinks at nightclubs in Bielefeld and Herford in Germany and Edinburgh in Scotland. 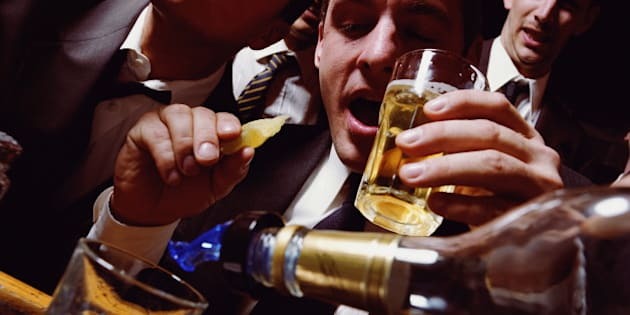 "The results revealed that bar staff responded to a set of two non-verbal signals," wrote Sebastian Loth, a psychologist and lead author of the study. "First, customers position themselves directly at the bar counter and, secondly, they look at a member of staff. Both signals were necessary and, when occurring together, sufficient." But, of course, researchers have something more in mind than just easing the bar flow. They're looking to build a better, faster, stronger bartender. That's right, a bartending robot. Bielefeld University is developing a bar-tificial intelligence system with four-fingered hands and a tablet for a face, according to the Daily Mail. It's called Joint Action in Multimodal Embodied Systems. But at the bar, you can just call him JAMES. Jan de Ruiter, the school's chair of psycholinguistics, told The Daily Mail that JAMES will be more than a glorified drink blender. “In order to respond appropriately to its customers the robot must be able to recognize human social behavior."